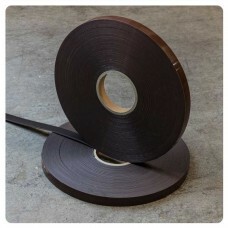 A high energy magnetic tape with a choice of either premium or economy adhesive dependant on your budget and application. The magnetic part is identical on both different adhesives and it is only the adhesive part that differs. 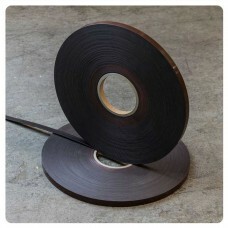 Both types are (the width) x 1.5mm thick x 30 metre rolls. 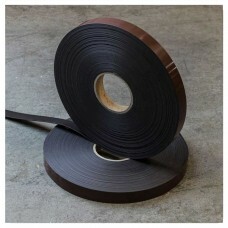 If you require the tape cutting down to length please contact us directly as a separate cutting charge will be applied. 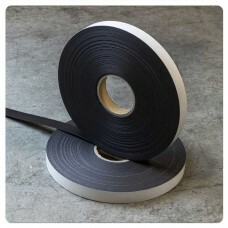 In our experience if you normally buy premium adhesive it is well worth a side by side, short trial on the two adhesives as it’s possible to make some significant savings when buying volume. But if you know what you want then just go ahead and buy the one you require - if you've got any questions just call or email us and we'll be happy to help. 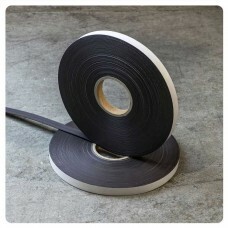 19mm High energy magnetic tape with a clear transfer economy acrylic adhesive (19mm x 1.5mm x 30 met..
19mm high energy magnetic tape with a premium grade acrylic adhesive. 19mm wide x 1.5mm thick x 3..